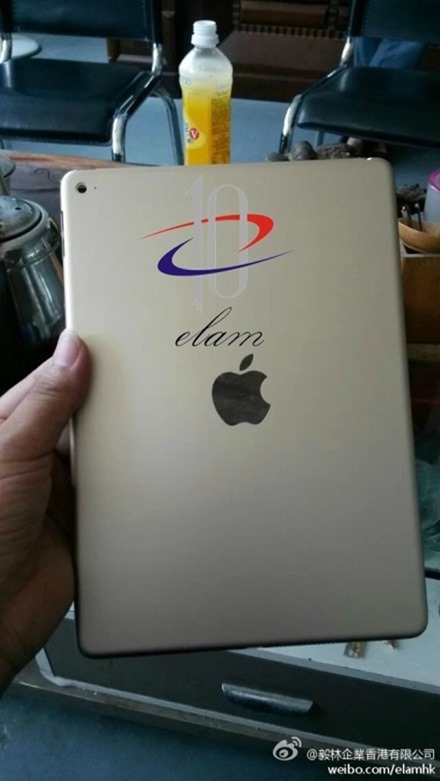 The leaks just keep on coming, this time of the supposed iPad Air 2. With all the attention very much on the iPhone 6 at this point, it’s easy to forget that we should only be a few months away from a new suite of iPads, with the iPad Air 2 possibly the most eagerly anticipated. 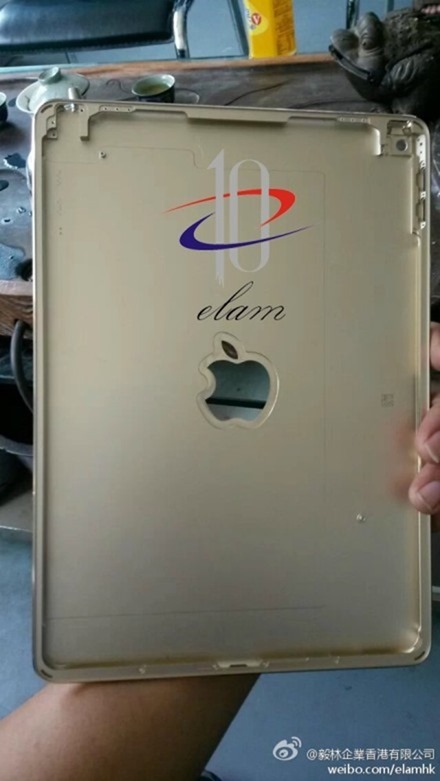 With that in mind, we’ve been treated to photos of what appears to be an iPad rear shell, with Taiwan-based accessory maker Yi Lin Enterprises claiming that this golden housing is from the unannounced second generation iPad Air. Whatever it is, it’s certainly different to the current generation. 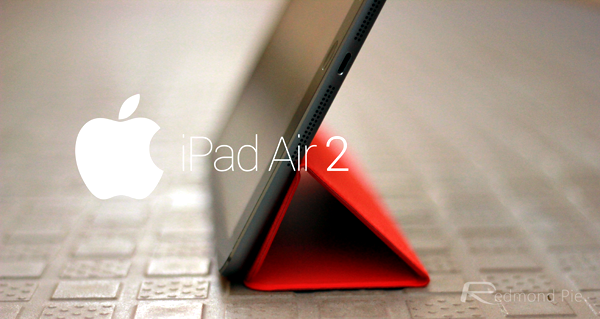 A resized speaker grill and repositioned microphone mean this is not a part that is simply from the existing iPad Air manufacturing process, albeit in an unreleased color. The new leak also fits in rather well with one that surfaced last month. 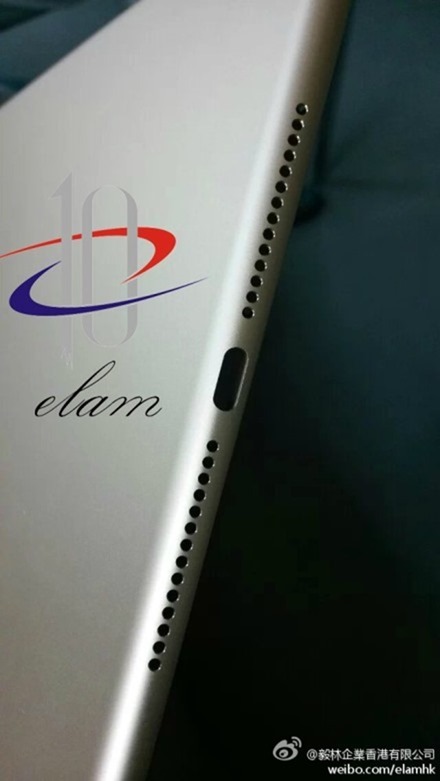 That particular leak pointed to the iPad Air 2 featuring a pair of recessed volume buttons as well as space for a Touch ID Home button a la the iPhone 5s. We’re expecting all of Apple’s new iOS devices to pack its fingerprint technology this year, so now’s the time to give those hands a good clean – you’re going to need that fingerprint to work soon enough! The new iPads, whatever guise the eventually come in, are expected to debut a few weeks after the next iPhone. Both the iPad Air and iPad mini are expected to see hardware refreshes that would bring new hardware and functionality to both, though the much rumored iPad Pro isn’t believed to be on the verge of an unveiling any time soon, but the chances are that it might just bear fruit, provided we’re lucky enough. We’ll keep our eyes firmly peeled for new iPad Air 2 / mini 2 news even as the iPhone 6 announcement draws near. If you don’t want an iPhone but do want to try out the iOS experience, then the new iPads may be a good place to start. We just need to see what they are, now. Still no Flash for the cam….. not yet invented eh apple?